A very interesting and reasoned article. Can you remember Denver? He is coming into our Boston kennels tomorrow (Tuesday 16th) for rehoming. Well done, really enjoy the blog and look forward to next episode, you deserve massive credit for taking the time to get a real experience and then make up your mind. That's really encouraging to hear. I know my hound Tessie came from a very good kennels where they were well treated too, so I know it's not all bad news but there are many less decent ones out there unfortunately. Great post, thanks for sharing. Thanks Mick for your comments too. I really did want to see what life was like for racing greys & the experience has been invaluable. notSupermum - yes, I think there may still be some bleak kennels out there but I think they're on the decline. Certainly, all the trainers I met/saw at the track had a genuine love for their hounds. 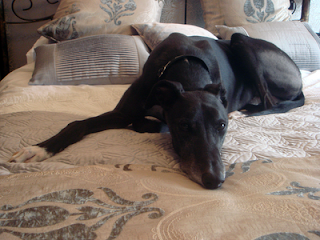 Greyhound racing depends on inherent cruel practices for its commercial viability. Greyhound puppies are over bred and culled in their thousands - deemed too slow or fail to chase the mechanical lure. Greyhounds sustaining treatable injuries - often minor are destroyed simply because the injury is deemed to be uneconomical to treat and healthy greyhounds are destroyed when they become too old or slow to chase the mechanical lure - all acceptable practices under the Rules of Racing. Every time a trainer or owner places their dog on a track - they are knowingly placing their dog in a dangerous environment - fast straights and tight bends - with little regard for the dog’s welfare. Racing greyhounds fail to be protected under the Animal Welfare Act and as a consequence are repeatedly subjected to unnecessary suffering whilst their abusers are afforded the freedom to train and race greyhounds in a self regulated gambling industry. The suffering and cruelty must stop! Great informative post! The only information that goes to the press is about the bad side of racing and never about the good. There is a good and bad side to everything. I sure hope they don't one day ban pets because some people are cruel to their pets. P.S. You'd get more comments if you change from the "embedded below the post". It does not recognized many of us as signed in. Dear oh dear greytexploitations I think the whole world knows by now you tell more lies than 'pinocchio'. Here we have a lady 'Susan' who instead of listening to lies from people like yourself she actually thought NO i will go and find out for myself. If everyone did the same your organisation would cease to exist and your donations would dry up. If anyone can be accused of expoloting greyhounds and misleading the public it is you. You should be welcoming things like this instead of trying to shoot them down, well if you really cared that is exactly what you would do. I won't post again Susan because i dont want your good work to become the scene of a battle ground, i think you deserve more respect than that, can't wait for the next chapter and wish you all the luck in the world. I enjoyed reading your blog, very well said. YAY! I can comment with my ID now. Luckily you allowed for anonymous so I was able to comment earlier. Not sure why the embedded below the post does not recognize some of us as signed in. I hope Mina heals up quickly and no more injuries for any of out dogs in 2011 or 2012. I've had enough! Really glad I came across this post Susan (I found it via Facebook) - well done you for deciding to go & see racing kennels 1st hand. I too have done this, & in fact visit Liberton Racing Kennels in Edinburgh fairly frequently. This is because these kennel facilities are also the location of Edinburgh RGT, which my husband has recently helped to set up their own website, & for who my close friend is a volunteer. Like the kennels that you visited, Liberton Racing Kennels is a nice environment - the kennel staff/trainers clearly care about the dogs, they are fed & exercised well, their injuries are tended to, 'retired' dogs are kept until an appropriate home is found, & you can tell that the dogs living there are happy. HOWEVER, I do not feel that these kennels, their staff or the state of the dogs in them is representative of the (UK) racing industry in general. Why? Because I work in rescue & I see/hear about the thousands of greyhounds who have clearly not been treated to the same standards of care as those at Jane Houfton's or Liberton racing kennels. Furthermore, (& I'm looking forward to your coverage of this in your further posts on this topic) I feel strongly that anyone who subjects dogs to running on tracks which are purposefully engineered to be DIFFICULT (& potentially dangerous) for them to run on, knowing that they are risking injury each time, cannot care about these dogs at more than a superficial level. To me (a vegan) the situation is analogous to animal farming - yes, there are free range farms out there who treat their animals to better standards of welfare, but those are few & far between when you look at the bigger picture of factory farming which dominates here in the UK (& more so in the States), & ultimately the fate of all the animals is the same regardless of the welfare standards they are reared in: they are being reared for slaughter or so that we can exploit their resources at the expense of their own welfare & rights. I realise that many people will see my position as extreme, but it may interest you to know that I adopted my position as firmly AGAINST greyhound racing 1st, & my vegan lifestyle second, because I felt/feel that all animals deserve the same respect & rights as the greyhounds, who are particularly close to my heart. Sorry to rattle on, but I saw Greyt Exploitations had left a comment which really amounts to no more than a bland rehash of what they say elsewhere & fails to address the important issues that you have looked at in your post. I don't think what you have done for your work experience is invalid in anyway, but you do seem to indicate that you specifically sought out a 'reputable' kennels in the first place, so in a way you were setting out not to find an example of what goes on the racing kennels at large. I also feel that even if you hadn't, the less reputable kennels would never have agreed to let someone who clearly cares about dogs as much as you do spend time with their dogs, & exposing what goes on behind the scenes anyway. I look forward to reading your further posts on this, but hope you will consider that maybe what you have seen/are seeing at these kennels is not the 'full picture'. Thanks for your comments and for taking the time to ready my rather lengthy blog post. I’m all for everyone sharing their opinions and debating my post topics and don’t consider your views extreme – they are your views and equally valid. Like you, Greyhounds are close to my heart and my three are the inspiration behind my University degree and work experience. I did research racing kennels and as previously I’ve worked for (as a committee member) and closely with LGT I was aware of a number of trainers who I could commute to. I specifically chose Jane’s kennels mainly due to reputation and facilities (there aren’t many schooling tracks, that I’m aware of). I can only really reflect on what I saw and experienced and whilst I recognise that there are a number of trainers who do not extend the levels of care that Jane does, I didn’t want to tar all trainers with the same brush. The media is very keen to jump on the bad (and quite rightly so) but never is the work of those like Jane highlighted. I learned so much from my work experience – it really has been invaluable in helping me understand what’s shaped the behaviour of retired racing greyhounds. I still have a way to go and would like to gain more experience but I do feel this has given me a good start. I just came across this and your post has explained why my ex-racer Eddie will only eat if his bowl is placed outside the back door. Clearly he has been fed in the outside run and associates going out with food. The sound of food going in the bowl or the clatter of bowl on stand doesn't get him excited at all (whereas our girl Nuala is drooling by the time these sounds are heard). For him, the back door being open is what he runs for. I never understood why until reading about your experience! It is good to read some positives about the industry. Both of mine have not been quite as lucky as the dogs you've come across, though they are both lucky to have had trainers who will pass them to rescues. Nuala had been abused and associated every human with someone who would hurt her. She'd been passed from trainer to trainer and clearly had never learned to trust. My first meeting was with a dull-coated shaking creature who was constantly searching for somewhere to escape from people. On early walks, she would try to jump into roads rather than pass close to a person on the footpath because she was so scared of them. She's learned to enjoy life now, thankfully, though she'll probably always mistrust male strangers. Eddie is clearly used to being treated kindly by humans but he was raced with an injury and quite seriously over-raced (he's been on the track as much in his 3 years as many dogs who last as racers until they're twice that). He's undergoing treatment with us but, because it wasn't dealt with when it happened, he'll probably always have trouble and will never be allowed to enjoy long runs like our other greyhound does. Thank you for sharing your experience, particularly as it's solved the meaning behind what I saw as puzzling behaviour. It would be interesting to be able to compare the kennels you visited to others to get an idea of the different levels of care, but I suppose those who do cause issues and who do treat dogs badly wouldn't let many people inside. You're right to show how the racing industry can do a good job and can ensure that dogs have good racing lives which lead to happy retirements. Thanks for your comments, Michelle, and for taking the time to read my blog. I'm sorry to hear that Eddie and Nuala weren't as fortunate. 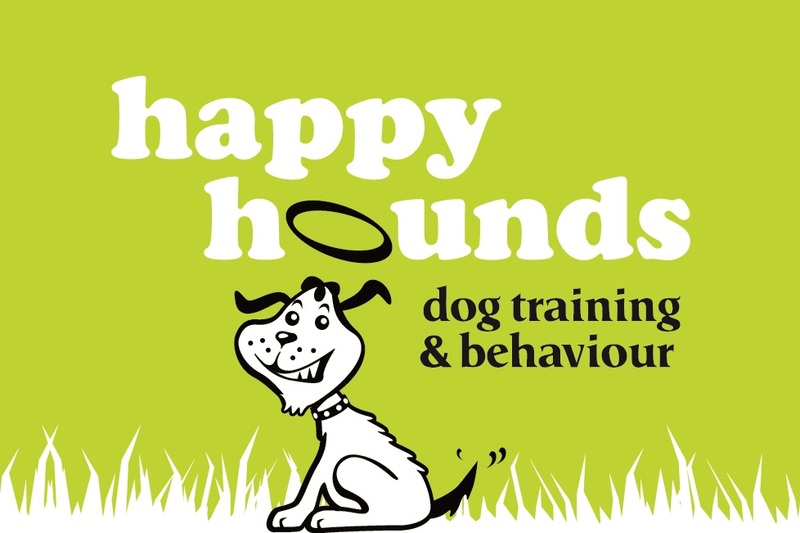 I was very lucky to experience working with a trainer who cared for her dogs and used positive training methods. As you say, it may not be possible to contrast the experience as those with something to hide are unlikely to allow me to work with them. I haven't touched upon it in my blog post, but I would be interested to know whether Irish dogs have a tendency for more fearful behaviours. One of my dogs is Irish and is much more fearful and reserved than the others. I only have it on hearsay, but I believe for a large number of dogs bred in Ireland, it's a case of survival of the fittest and a very barren upbringing as puppies.